This library contains a number of new major books produced by Rolf A.F. Witzsche, in honour of the 150th anniversary of Christian Science. The latest articles on Christian Science by Rolf A. F. Witzsche are presented on this page. 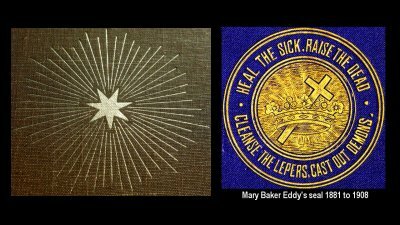 All of Mary Baker Eddy published writings, including the Christian Science textbook, Science and Health with Key to the Scriptures, are presented free on-line at this site, together with audio versions for them, and also the Bible (KJ version) online, and numerous related studies. 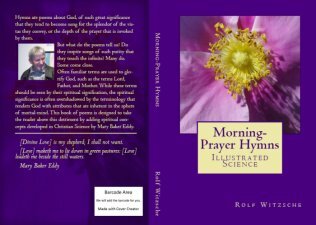 by Rolf A. F. Witzsche - free on-line - free audio versions. 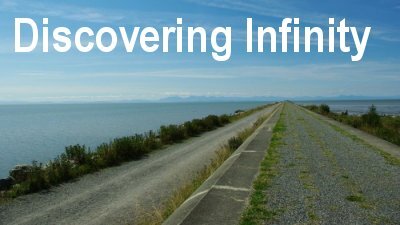 12 research books, many specifically exploring generally unknowns aspects of Christian Science. 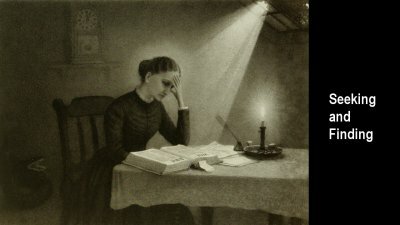 14 challenging novels exploring the heart of Christian Science - the Principle of Universal Love. Christian Science was founded in New England, in the USA, in the late 1800s, at the beginning of the scientific revolution that had ushered in a new age. The period of its development from 1866 to the end of 1910 was historically the only major period of peace and humanity that the world has experienced to date in almost five centuries. 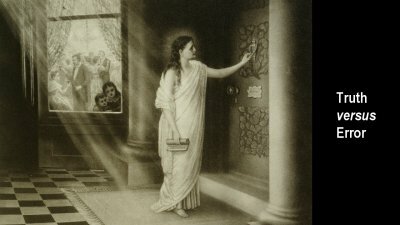 While no empiric proof is possible that a connection exists between the experienced peace and development and the explosive development of spiritual healing that had occurred and had quickly spread internationally, the slightest possibility that such a connection may exist, warrants an extensive exploration of it. 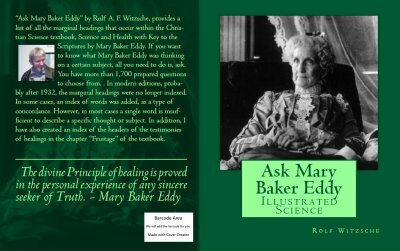 In this context the principle of the academy is utilized as an exploration stage of what Mary Baker Eddy has developed, accomplished, inspired, established, and has applied to practical healing on a wide field. The spiritual healing of humanity is critically important today, since the common root for all the modern crisis is the small-minded self-perception in society that has been cultivated by the social disease called the oligarchic system. The symptoms include the depopulation policies; nuclear war programs; worldwide economic collapse; and far-flung devolution in science, such as the one that hides the unfolding dynamics of the ice age ahead. 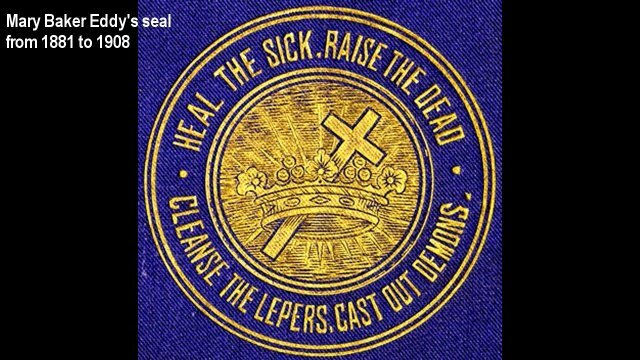 The healing for the disease requires an elevated self-perception in humanity - an intelligent recognition in society of the sovereignty, creativity, and power that is inherent in the nature of man. This task, involves a spiritual process. The political scene, especially, requires the healing of this spiritual process to enable society to accept its dominion, and its freedom from the fascism of oligarchism. 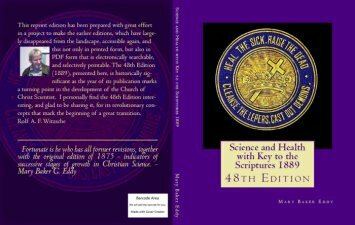 Christian Science was established to commemorate and carry forward the work that Christ Jesus had begun and to give it a new dimension in the scientific age. 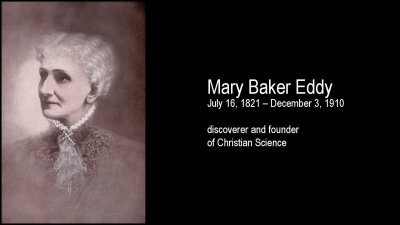 A church was chartered in its name in Boston Massachusetts that became known as the Mother Church of Christ Scientists which developed into a worldwide growing movement of branch churches in Mary Baker Eddy's time. 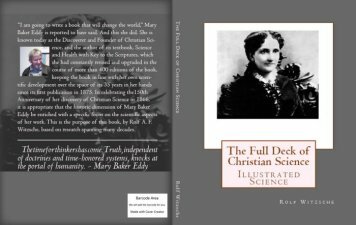 Her textbook on Christian Science, first published in 1875, was constantly developed by her in line with her own scientific development. By the time she laid the pen down in December 1910 over 400 updated editions had been produced. Over 10 million copies were sold, with a century of healing standing to her credit. 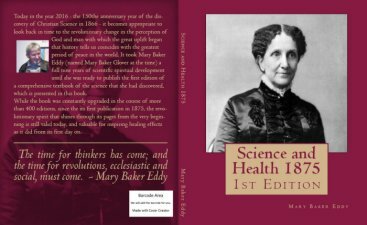 Today, a century after her death, in spite of the vast publication that has occurred, only a small portion of what the Christian Science textbook contains is generally recognized and utilized. This means that the dawn of Christian Science is still only at its beginning stage. 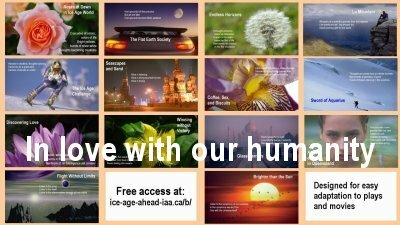 This fact gives one hope that humanity may yet develop its inner strength to lay aside war, poverty, and terror, and to meet the challenge posed by the return of the Ice Age in potentially 30 years.